Tet Offensive. 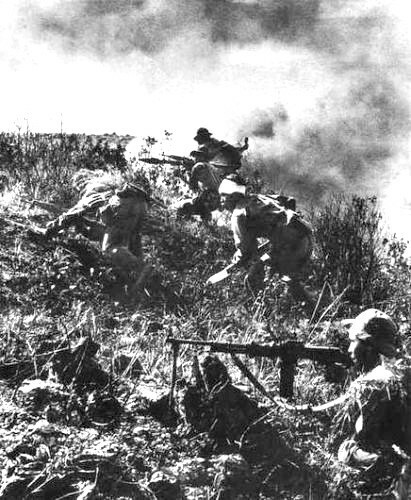 Siege of the Khe Sanh. Battle of Hue. Fall of Saigon. These are just a few of the names a person might hear when discussing famous battles of the Vietnam War. Less likely to be mentioned is the final high-casualty engagement between units of the U.S. infantry and the North Vietnamese Army. Taking place between March and July 1970, the Battle of Fire Support Base Ripcord would stay tucked into a hidden chapter of the war’s history for decades. At the same time, President Richard Nixon was secretly withdrawing troops from Vietnam, leaving only the 101st Airborne Division fully operational which he tasked with regaining initiative of the A Shau Valley, a key strategic focal point for the NVA. 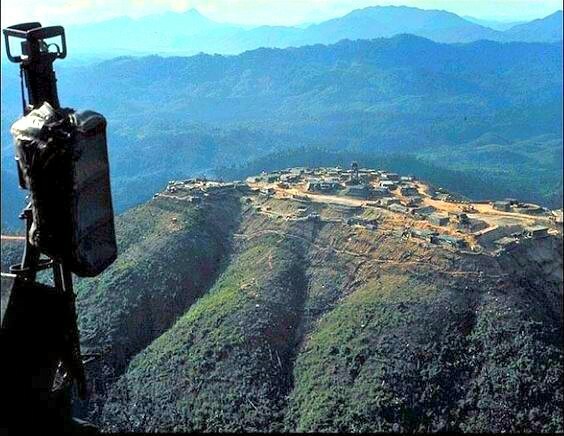 The plan was to rebuild the abandoned fire support base set on four hilltops to be used as outposts for the planned offensive by the U.S. Marines to search and destroy the NVA supply lines in the mountains overlooking the valley. The operation was held with as little press coverage as possible since it was happening during the time of the Cambodian incursion in May and June 1970. This was a series of 13 major missions conducted covertly in neutral Cambodia but Cambodian communists were helping North Vietnam with logistics and other types of support. 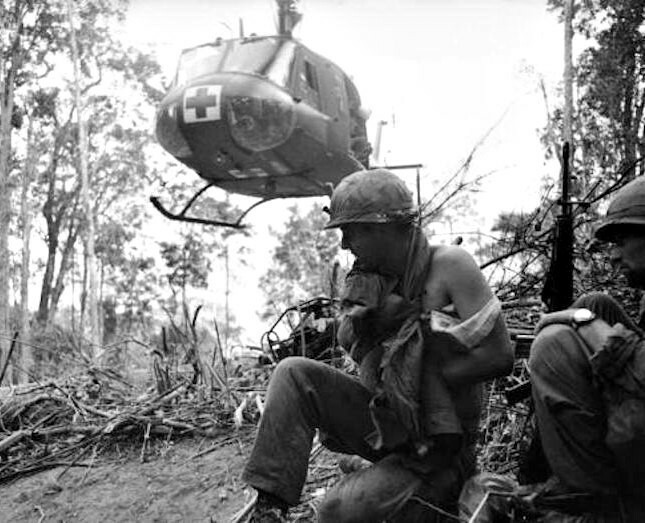 It was also one year after the media disaster of Hamburger Hill, the battle known for its questionable use of infantry instead of firepower which led to 75 Soldiers losing their lives and another 372 wounded. The Cambodian campaign was aimed to disrupt the Ho Chi Minh supply trail which spanned outside Vietnam borders, through Laos and Cambodia. The mission was of similar nature as the ‘Texas Star Operation’ and even though the latter was not secret, it was still on the certain level of “Need to Know Basis”. While the members of the 101st Division were rebuilding the base and preparing the attack on the enemy supply lines, the NVA was secretly gathering intelligence. They also launched sporadic attacks from March 12th and lasted until June 30th. It is estimated that as many as 25,000 NVA troops were positioned in the A Shau Valley area at the time. After weeks of reconnaissance, on the morning of July 1, 1970, the North Vietnamese started firing mortars at the firebase. The battle for the hilltops raged for days. The 101st was surrounded, outnumbered almost ten to one and running low on supplies. It was only the high ground and the bravery of its defenders that kept the enemy from overrunning the FSB Ripcord. The heaviest of these attacks took place between July 1st and 23rd. During those 23-days, 75 U.S. Soldiers were killed in action, making the Battle of FSB Ripcord one of the deadliest battles in the Vietnam War for the United States. 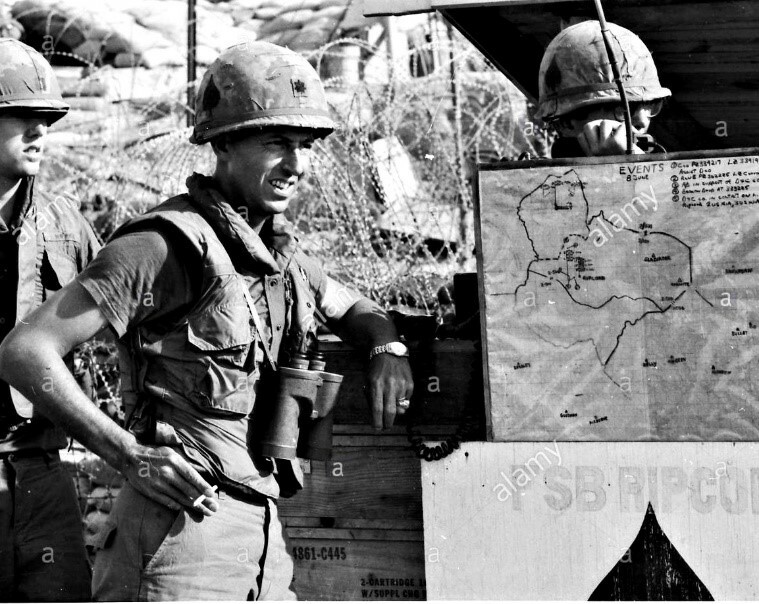 Col. Ben Harrison (later Maj. Gen.), the Commander of the 3rd Brigade, claimed the NVA losses at Ripcord were one of the reasons why the North postponed their Easter Offensive that finally happened in 1972 since they had to resupply and reorganize after the attacks on the firebase. Denny Kirkham was 18 years old at the time. Drafted only one month out of high school, he served in Vietnam as a Spec. 4 Radio Operator for 3rd Brigade’s Tactical Operations Center at Camp Evans. Working in the lines of communication, his MOS was to be picked up and placed where needed. This is how he came to be part of FSB Ripcord history. Though only there for a week and a half, Kirkham was inundated with the siege and all of the pandemonium that went along with it. Kirkham was also there when anti-aircraft fire from enemy forces dealt one of the biggest blows to FSB Ripcord’s supply cache. Though young and in awe of his surroundings, Kirkham was aware that, like everyone else, he was placed on the hill to do a job. That feeling was echoed throughout the base, from the grunts in the foxholes working to diminish the strength of the NVA battalions to the “Shake n’ Bake Sergeants” who had risen through the ranks in the blink of an eye to satisfy a growing need for NCOs to lead the way. As an offensive quickly dissolved into a standoff and a fight for survival, it was decided that defending the base was not going to accomplish anything in the long run. Immediate and swift lifeline withdrawals soon followed. On July 23, after the helicopters withdrew the survivors under heavy mortar, anti-aircraft and small arms fire. After the evacuation, the U.S. Air Force B-52 bombers were called in for carpet bombing. “The withdrawals began happening so fast that a specialist and I were put onto a Huey that had body bags on it that were filled. We were getting off that mountain any way we possibly could toward the end. I was glad to get off there, but riding off with the KIAs was hard. I witnessed several of the B-52 strikes” said Kirkham. When the FSB Ripcord Association emerged in 1985, the American public began to learn more and more about the battle. With the emergence of the story came a surprise for Kirkham: a Bronze Star in honor of his actions. Following the war, Kirkham returned to the States and lived the civilian life for a few years. In 1975, he rejoined the Army voluntarily, serving until his retirement in 1993. He returned to his hometown of Corydon, IN, in 2005 after the passing of his wife. Though more than 47 years separate his initial connection to the Screaming Eagles, his ties to the community remain strong. The final death toll of the FSB Ripcord battle from March 12 to July 23, was 138 American Soldiers. There were also 3 men missing in action. Among the men killed in action were the professional football player Bob Kalsu, who played for the Buffalo Bills, before being drafted and Weiland Norris, the brother of Chuck Norris. Three Medals of Honor and five Distinguished Service Crosses were awarded to the men who fought at Ripcord. One of the Medals of Honor was awarded to Lt. Col. Andre Lucas, who died on the last day of the battle after directing the successful retreat of his men. Lt. Col. Lucas on one occasion during the battle flew in a helicopter at a treetop level above an entrenched enemy directing fire for over 3 hours. He remained in an exposed position as long as he could, and after that swapped his damaged helicopter for another one, and immediately resumed his perilous mission. On another occasion he attempted to rescue a crewman trapped in a burning helicopter, all by himself, risking his life under heavy fire. 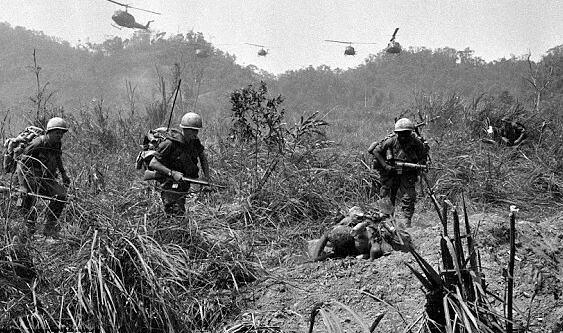 The Battle of FSB Ripcord was not very known to the public, mostly because the Nixon administration wanted to avoid any media coverage of the last major battle in the Vietnam War. The memory of the battle was revived in 1985 when The FSB Ripcord Association was established to honor the fallen and remember the survivors.